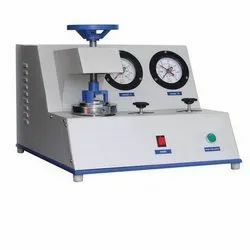 Pioneers in the industry, we offer micro print bursting strength tester, double head model bursting strength tester and burst strength tester from India. One button operation, on start, the machine clamps the test sample, starts the test, performs testing, displays for the next test. It completes a lot test of 12 readings which are displayed in ascending order. A detailed print product name, code etc to print on the graph. The graph display's all test results, mean and average reading, accept / reject status and graphical representation of the test. 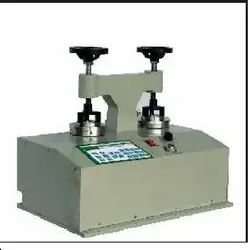 We are offering Double Head Model Bursting Strength Tester. 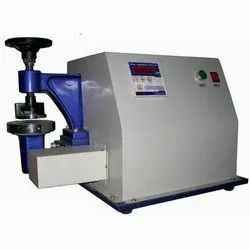 Our organization has also well recognized in the industry for offering world class Burst Strength Tester that is made available I various technical specifications based on the diverse requirements of the clients. Available Digital type pressure gauge with pneumatic clamping model also.